You are in for a treat! 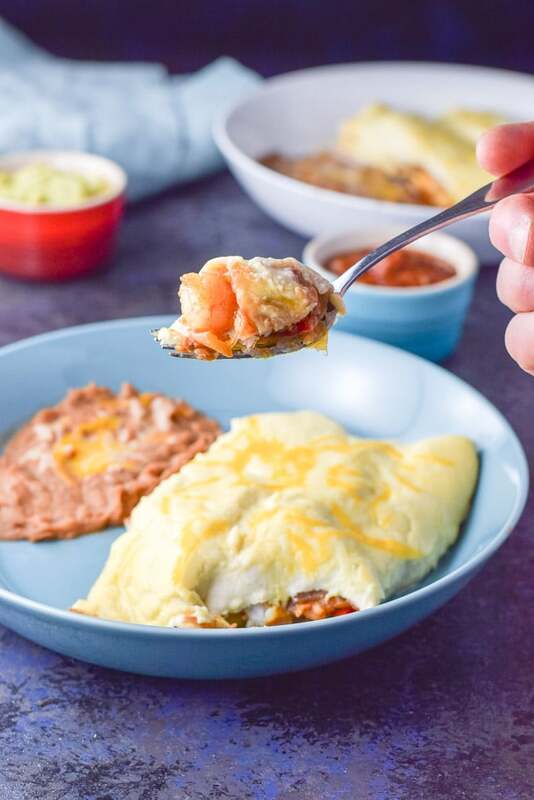 This is my top ten Cinco de Mayo recipes! Perfect for the upcoming holiday! 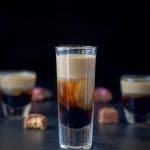 This list includes both cocktails and food! Enjoy! First up is an appetizer. A delicious cheesey mixture that you can scoop up with some chips and delicately nibble on. Who am I kidding? I eat this dip like a fiend. Chip particles flying all over the place as I shove this dip in my mouth. It is one of my favorite appetizers! This delicious cocktail was very popular at the restaurant where I used to work. Premium ingredients: Patron tequila, Cointreau, homemade sweet and sour and Grand Marnier! But beware, once you taste this margarita, all others will pale. That’s not a bad thing since it’s sooooo delicious! Quesadillas are easy to make and so delicious! You just have to sauté some veggies before you melt some cheese on a tortilla. 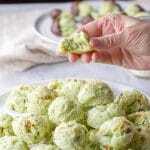 Add the cooked veggies, fold it up and you have a great appetizer. But it’s not just an appetizer. Oh, no! You can also eat these mushroom and spinach quesadillas for your main meal! If you like lemon, you will love this cocktail. It’s so yummy and super easy to make. All you need is some lemon curd, but don’t fret, you can find the recipe here. 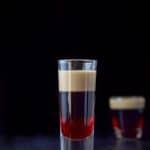 Add the curd, tequila, Cointreau, and simple syrup to your blender and you have a delicious cocktail! I love fajitas and could eat them every week. For reals! If you haven’t made fajitas yet, you are missing out. Just think: stir fry!! I sauté onions and red bell peppers first. Next I sauté the shrimp and steak separately because they have different cooking times. Once done, mix them all together and you have a glorious meal!! Ooo-la-la! 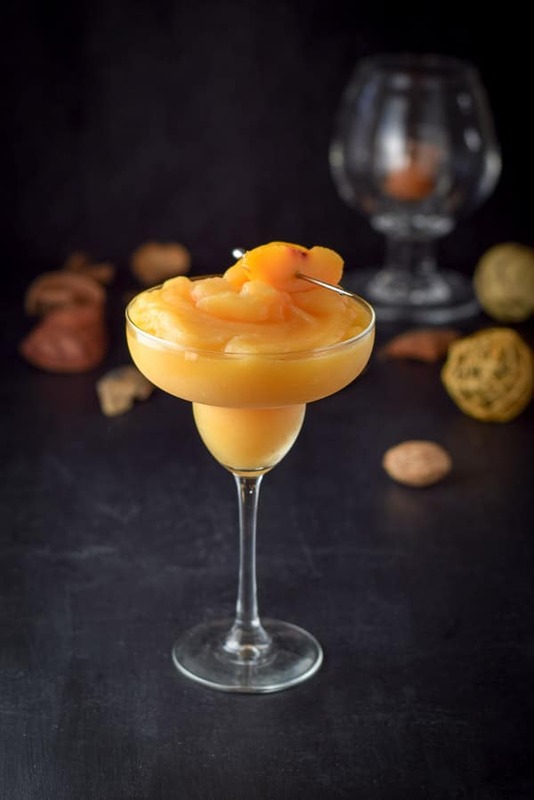 This peach margarita is so refreshing and delicious. It is slightly sweet and perfectly balanced. 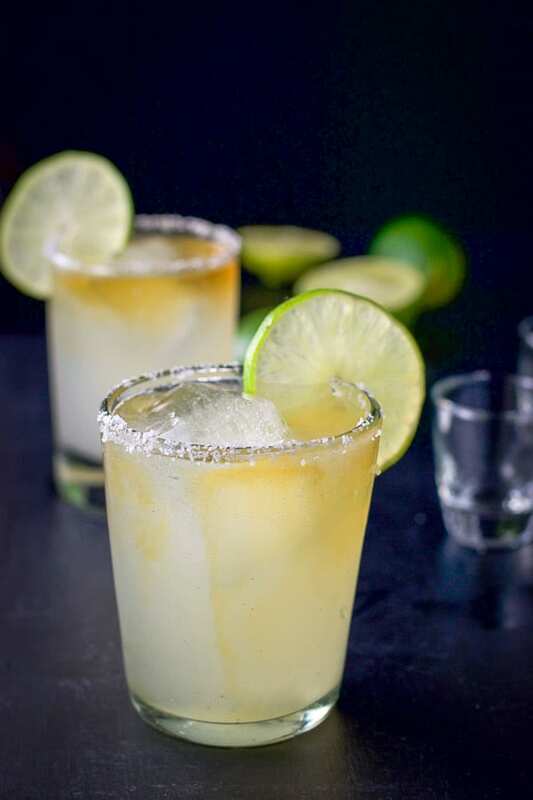 Think of how impressed your guests will be when they sip this delectable margarita on Cinco de Mayo! Christopher doesn’t just use this enchilada sauce on his enchiladas. Oh, no, he also puts it on the millet, bean and meat mixture that he eats for lunch! He’s so innovative! 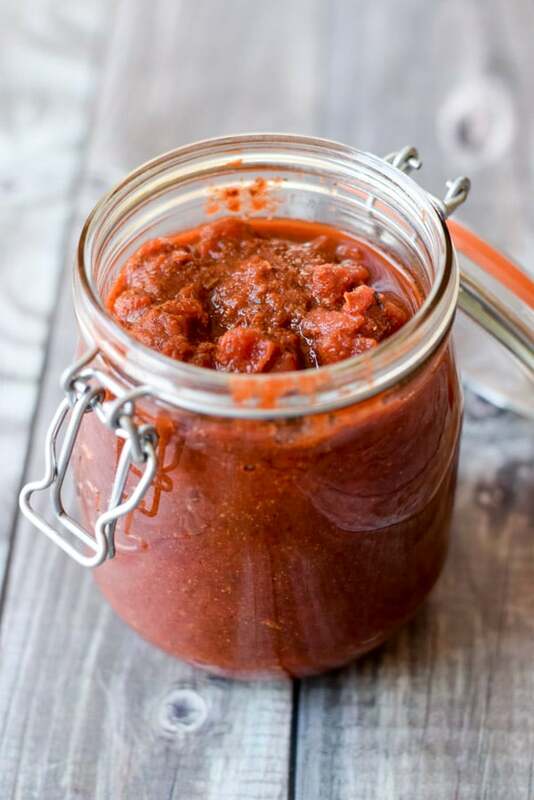 I love this enchilada sauce because it’s chunky. It is sooooo good. 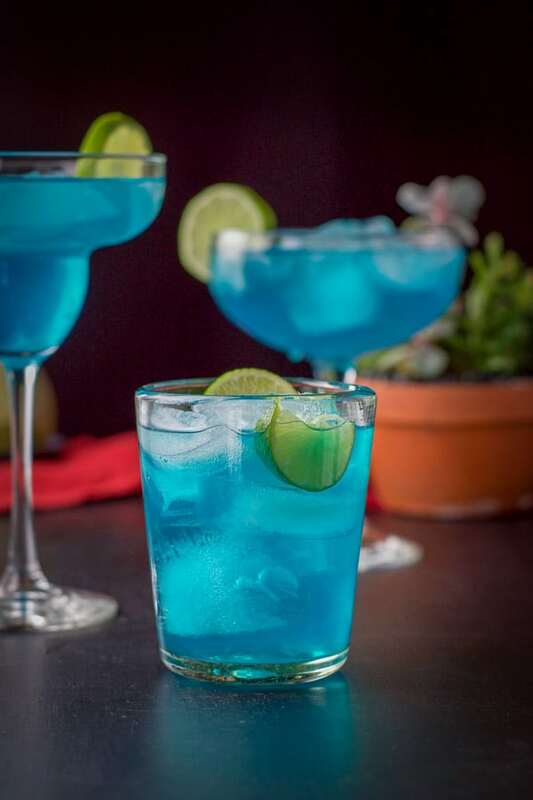 Don’t be afraid to drink this blue margarita, no nasty additives to make it that color, so it’s good for you. Okay, maybe not ‘good’ for you. But it will make you feel good! I love shrimp so much that I’ll eat it any way I can get it. And it’s extra delicious wrapped in these flour tortillas along with some beans and cheese. And top it with a sour cream sauce and you get perfection. I love making cocktails with blood oranges. They make for a tasty drink. And, blood oranges go perfectly with tequila. Almost as though they were grown just for the occasion to be in a cocktail. See how thick it looks!!?? 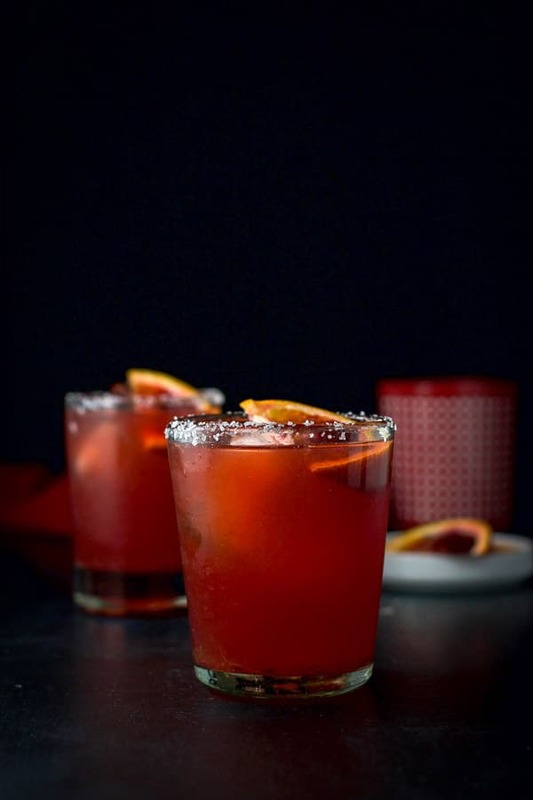 This blood orange margarita has premium ingredients and is really delicious! 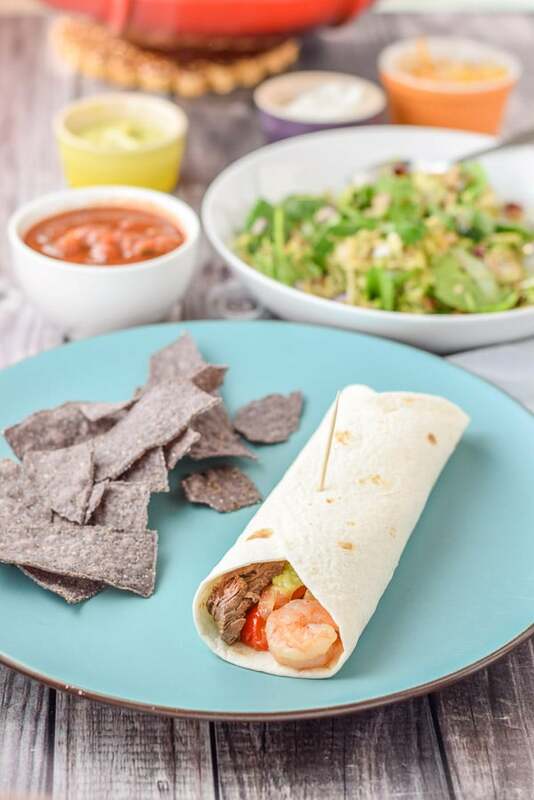 That wraps up my top ten Cinco de Mayo recipes!! I hope you enjoyed them. Feel free to click on the links to see the recipes. Leave me a comment to let me know what is your favorite Mexican food to eat as I’d love to know! If you’ve tried any recipe on the blog, I’d love the hear what you thought about it in the comments below. I love hearing from you! You can also FOLLOW ME on FACEBOOK, TWITTER, INSTAGRAM and PINTEREST to see more of my delicious food and delightful cocktails! I just don’t even know where to go! 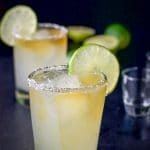 I thought before reading through the whole post the peach margarita was still going to be my favorite! But the blue orange? The blue? The shrimp enchiladas? I just can’t decide! Can I have one of each? Hehe. Sure can! Thanks Beth! 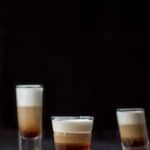 This post is getting me really excited for Cinco de Mayo- what a great round up of recipes! 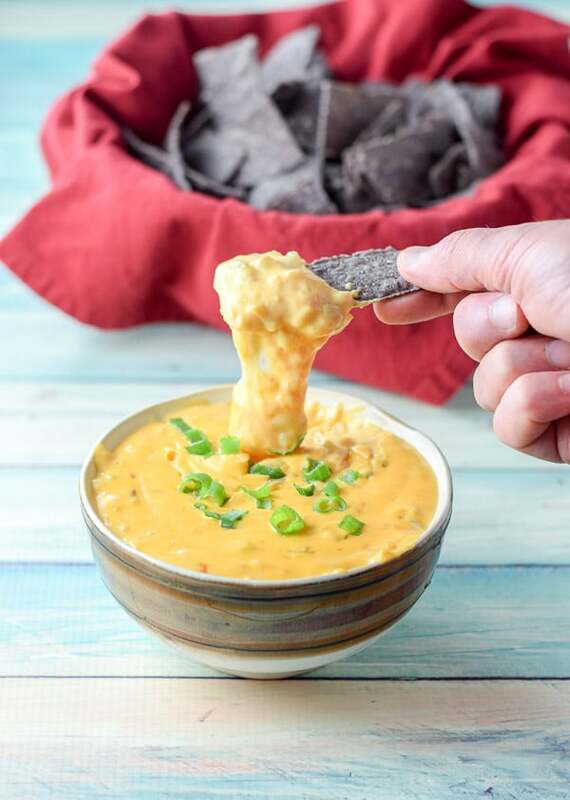 That chili con queso looks AMAZING! Look at all these margarita recipes! Yum– lemon curd! I’ll take 2. Hehe. Me too! Thanks Michelle! I really can’t decide which is my favourite – Blue Margherita or the Orange ? Or is it the Enchiladas or the Dip!! I am going up over and over again to choose! What a wonderfully delicious assortment of Cinco de Mayo goodies! These all look like delicious ways to celebrate Cinco de Mayo! My favorite Mexican food are homemade chimichangas! I usually don’t love them in restaurants but making them at home is a whole other story! Amy, Do you deep fry them? The restaurant I used to work for deep fried it and I wasn’t fond of them, much preferred the burrito! Do blog about the chimichanga as I’d love to try a home made one!